If you’ve ever organised an event you already know how much work it entails. There are so many things to keep track of, from finding a fitting location to creating an intriguing programme to figuring out how to handle the attendee registration. And, most importantly, you have to create an experience attendees will remember and talk about. Event marketing plays a huge part in making an event successful. That’s why social media should absolutely be in your marketing bag of tricks for all your events. You can use social media and hashtags to keep your audience engaged before, during and after your event. Hashtags allow you to aggregate everything that is being posted about a certain topic in one place. By creating a unique hashtag for your event you’re giving your fans and attendees a straightforward way to interact with you, your event and with each other. It’s easy to look up everything that’s been going on by clicking on the hashtag. And you yourself can easily find and follow conversations about your event as well. Set up a social media wall to display conversations from different networks in one place. Share everything about your event using your hashtag and encourage others to do the same. You can also get good results by promoting your hashtag cross-media — put it on flyers and other promotional materials, your website, your newsletter. Create teasers by sharing images from previous events on social media using your hashtag. 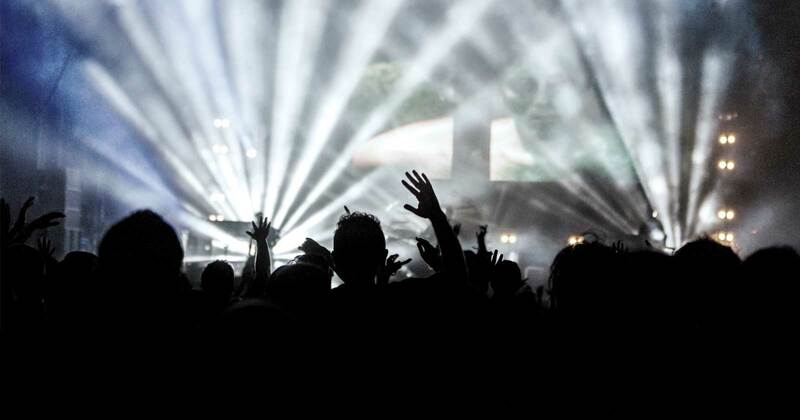 Who’s better to market your event than the people you’ve already convinced to buy a ticket? Add a social sharing button to your ticket sales “thank you” page to make it easy for them to convince others. 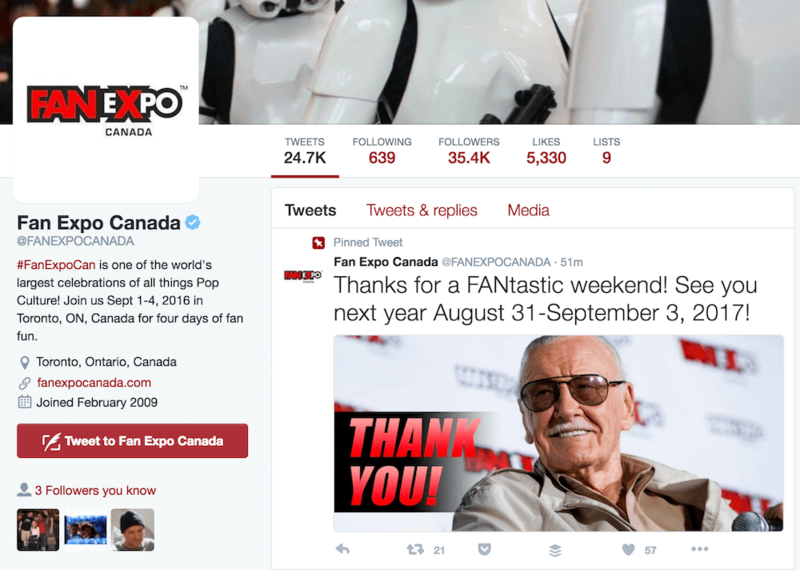 It’s a low-effort way for your attendees to share your event to their own social media accounts. Include your hashtag in the sharing text as well! Make use of the network your speakers or lecturers already have by making them a part of your social media campaign. Promote speakers in short social media posts, incorporate your hashtag and tag them. Whenever they repost your content, their own followers will learn about your event. GIF posts like TEDxLondon has done or image posts with a speaker photo and a quote overlay relating to their talk topic work well for this. Visual content offers a compact way of informing people about your event, the speaker and the talk they’ll be giving. In most cases, speakers will be happy to repost something to their own followers, but make sure you clear it with them first, obviously. Include your event hashtag in the image posts as well; by clicking on it users will find other speaker introductions and more information about your event. Contests are a good way to spread your message, up your engagement, and expand your reach. Encourage potential attendees to share something in order to win a prize — a free ticket, a VIP experience, or something else to do with your event. You can ask them to comment on your Facebook status or share a picture on Twitter or Instagram. Make it part of the contest rules that your event hashtag must be included in the post to spread your event further. Check out our blog post for various ideas on how to run a giveaway contest on social media. It’s no secret that videos make up an important part of the internet and social media in particular. It’s expected that by 2020 video traffic will make up 82% of all consumer internet traffic! Even more so than images, videos can transport complex messages in a short time. They are also eye-catchers, easily consumed and readily shared — 1200% more shared than text and images together, in fact. Create a short but engaging promotional video or GIF for your event and tag it with your hashtag. Influencer marketing is a tricky and intimidating field but when done right, it can do wonders for your event. It’s important to find influencers that are a good fit for your event. Your topic or brand should be within their range of interests, but their followers should ideally be slightly different from your own follower base. That way, you can reach a new target group with their help. Once you’ve identified the right influencers, invite them to your event and strike a deal with them. If your event repeats yearly, make sure to build and maintain a relationship with your influencers. If they show up at your events repeatedly, their support for you will have a greater impact on their followers. Ask them to use your hashtag when sharing your event. Another way to create buzz for your event is to organise a pre-event online. An engaging pre-event will promote your main event and give potential attendees an idea of what to expect there. Furthermore, you (and your influencers) get a chance to convince them to buy a ticket. Startups, it's time to brush up on your PR skills. Join us and BuzzFeed UK's James Ball, as he shares how to get the attention of the media at #WebSummit. Use Google Hangouts to set up a discussion between influencers or hold a webinar if it fits the topic of your event. Host a Twitter chat to engage with your audience about your topic, to ask them questions and answer theirs. Live stream interviews with your speakers, using Periscope or Facebook Live for maximum reach since live videos perform three times better than videos that aren’t live. Remember that your social profiles are often the first point of contact for your audience. They’ll see your tweet or post reshared by someone and will head to your profile to find out more about you. That’s why it’s important to always keep your profiles current. For one, make sure your profile always includes a link to your website and your event hashtag. But also make good use of the handy pinning feature on Twitter and Facebook. Pin the most relevant post for your event — that might be your link to ticket sales, your most recent speaker promotion post or your call for your audience to participate in your contest — and keep it updated. Your profile information and your pinned post or tweet will be the first thing people see when they head to your profile. Take care to keep it always current! Live-tweeting adds value to events, both for attendees and for those who would like to follow an event from home. Tweet quotes from talks as they are going on and post pictures from the event, be it on-stage photos, backstage stuff or impressions of the general goings on and the audience. It’s important to not just keep up your own stream of posts but also interact with others posting from or about your event. Engagement on their own posts will keep attendees happy and encourage them to keep posting. Establishing an event hashtag will make it easier for you to follow the posts, but it’s always advisable to keep a Twitter search for your event running as well in case someone tweets without using the official hashtag. Follow your own hashtag, like, repost and reply to uuser-generated content to keep people motivated and make them feel that their contributions are appreciated. Set up a social media wall at a central location at your event and let attendees know about it and your hashtag. Point out your event hashtag and social wall in your programme or your event app if you’re using one. Put the official hashtag on speaker slides and make sure the MC mentions it and encourages people to post. To engage your audience further, you can take questions via social media and have the MC pose them to the speakers on stage. Put the hashtag on rollups at your event location or, if you need a cheaper version, simply put up printouts with the hashtag and the link to your social wall. A signpost or two pointing people towards the physical location of the social wall wouldn’t go amiss either. Easily create a physical social wall by pulling up your Walls.io URL and displaying your wall on a TV screen or via a beamer. Place a couple of standing tables in front of the screen to encourage attendees to congregate and get to know each. The social wall will function as an icebreaker. Like we said before, live-streaming video poses a big draw for audiences, so consider streaming from your event using Periscope or Facebook Live. Even if you want to make sure the main event and what happens on stage stay exclusive to ticket holders, you can still create and stream great content from other parts of the event. Use breaks to interview attendees and speakers about their event experience or show off additional exhibition spaces you might have at your event. Seeing how awesome your event is will whet people’s appetites for future events you’re organising. Attendees can also enjoy the extra content since they can watch it on their mobile devices during breaks. Give non-attendees a serious case of FOMO by encouraging attendees and speakers to share their impressions from your event using your hashtag. Their posts will reach both their immediate followers and those following your event via the official hashtag. 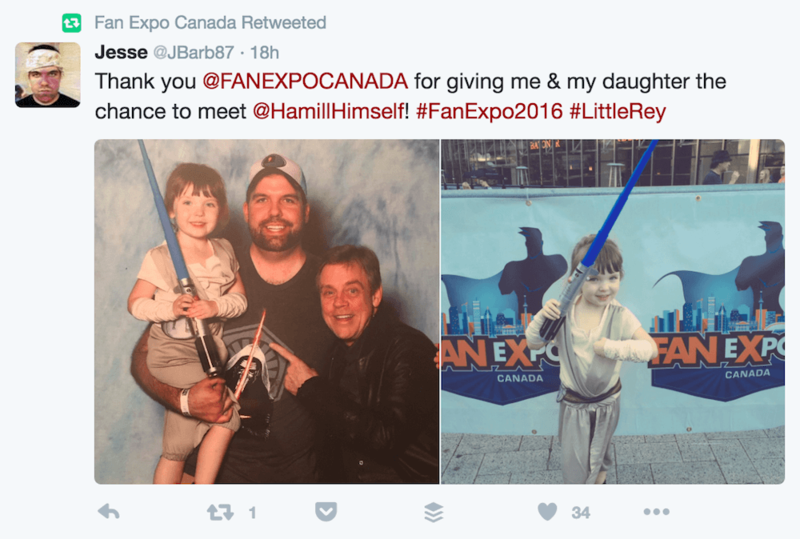 If you are organising a regular event series (be it monthly or yearly) stick with the same hashtag so, for example, your potential 2017 attendees can see what went down at the 2016 event. It will give them an idea of what to expect and encourage them to buy a ticket. Sharing rarely happens accidentally. Most of the time, you have to help it along a little and actively create share-worthy occasions at your event. 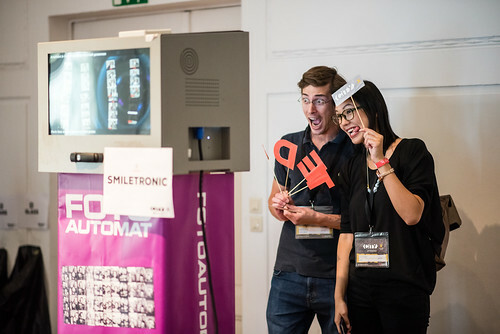 A photo booth that automatically tweets the photos and adds your hashtag to the posts can be a great way to get your event on social media. Social media votings and giveaways at the event itself also fosters social media sharing. Use lanyards, badges, goodie bags, team t-shirts etc. to promote your event hashtag. Create a blog post review of your event which is informative and sums up the key points of the event. Include a photo slideshow to give readers an impression of what the event was like and the best social media content posted by others. You can also create separate blog posts for each talk. When you share your blog posts on social media use your event hashtag and tag the people whose social media posts you included to let them know about it. People are pretty happy to see their tweets included in a roundup and will likely share the blog post with their own followers. Check it out: Buffer does some really nice #bufferchat roundup blog posts! You can put your social media wall to good use after an event as well. Take some time to curate the wall and make the best content stand out and then use your social wall to show off your event. Link to it in press releases, future promotions or when you’re talking to sponsors for your next event. Don’t let the earth swallow you up after your event but keep talking to your audience. Ask for their feedback and deal with it accordingly. Don’t ignore negative feedback but reply and do your best to solve the problem to keep your audience happy. Are these tips helpful for you? Are you using hashtags for your events or do you prefer other social media tactics? We’d love to hear from you!